We are so privileged to be able to travel around and see the sights of Europe. The boys went to England last weekend and yesterday we headed out to Germany. 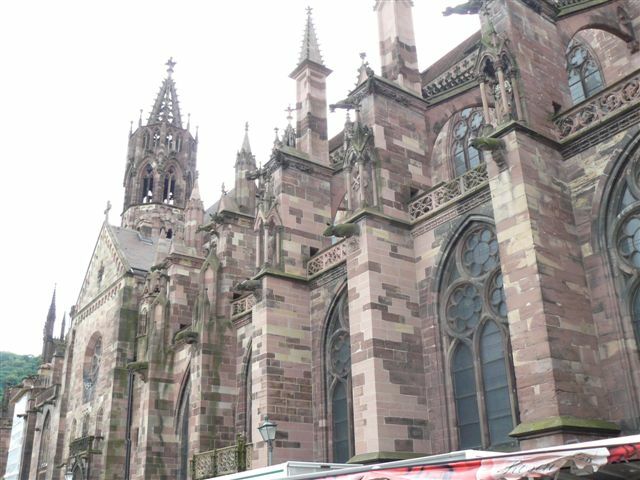 We hired another Mobility vehicle and took it over the border to Freiburg. Germany is beautiful. Love the big open roads and loads of trees and countryside. We were driving in the Black Forest region. The recommended speed limit is 130 (unless otherwise stated) but there really is no speed limit. And I am cruising along at a 130kph and feeling a little guilty with my NZ brain telling me that I was going to get a ticket for going over the 100 speed limit. There were plenty of Audis, Porsches, Land Rovers, Maseratis and Ferraris – along with the odd family wagon – overtaking me at speeds of around 200kph. I got up the guts to go 170kph at one stage but with the whanau in the car, thought it wise to slow down a bit. It did make for a quick and stress free journey though. I found the German drivers very courteous and patient. Freiburg is beautiful. 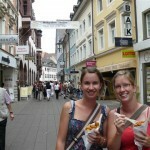 We had a look through the Münster and ate some beautiful fruit from the Farmers Market. The boys played in the Bachle. At one stage a German lady wandered up to me very deliberately. 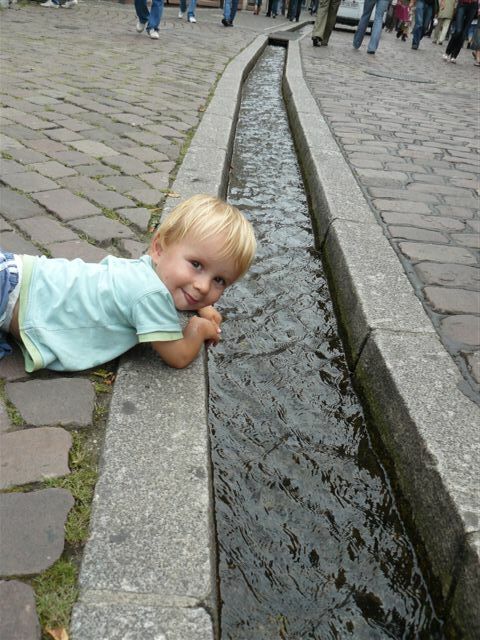 I wondered if I was going to get a telling off as Noah was splashing around in the bachle water. 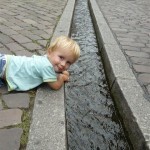 But instead she told me how there the bachle ran all through the city and to let my kid splash all he wanted. How cool is that! 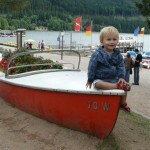 We then headed up to Titisee in the Black Forest region. 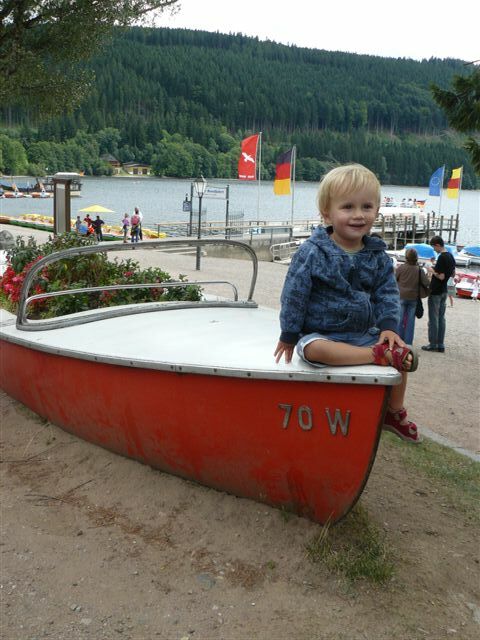 A beautiful spot (lake) which I had once visited when my most excellent and talented sister-in-law lived in Freiburg. I wanted to show Missie and Simon. They fell in love with it. 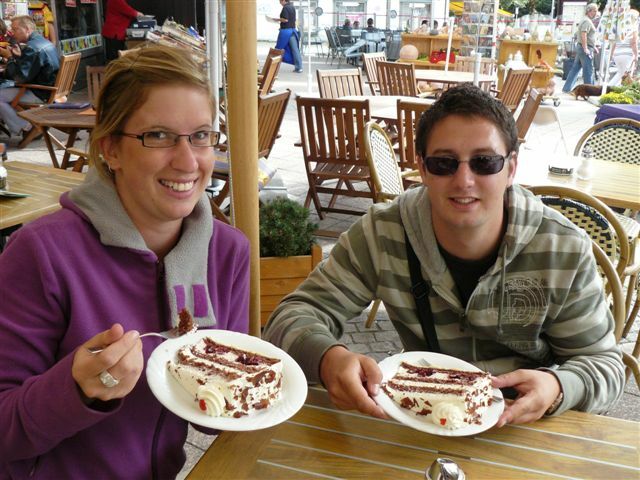 We had to have slice of Schwarzwalder Kirschtorte and looked at all the cuckoo clocks for sale. Just wish we had more time there. 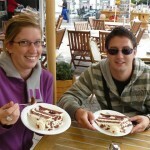 Missie and Simon leave tomorrow back to cold, wet and stormy NZ. We will miss them, especially Noah, who has become quite attached to Simon. Awesome. 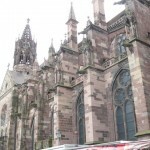 I will have to visit Freiburg. Looks like fun! 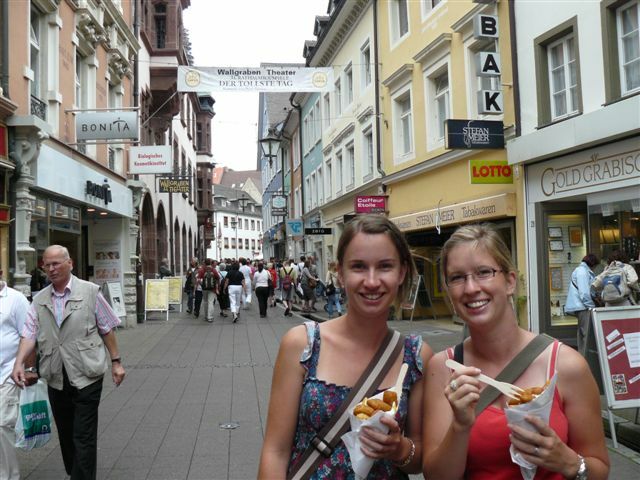 We love Germany too as you can no doubt tell from the postings! Gorgeous photos! Am very jealous! Can’t believe they drive so fast! 170kph – you speedster you! wow, wow, wow. I have to go to Germany! I’m hoping to be over that way early next year and would love to get down and see you guys if you’re still around!